Whether you're in the briefing process, driving ideas, liasing with suppliers or supervising onsite, first-time managers in events often ask themselves how to develop a leadership style that suits them: “Who should I model myself after? What kind of leader should I be?” It’s great to think critically about your approach to managing others, particularly when you’re new to it, but these questions won’t exactly help you. That’s because they assume that leadership is something you try on and show off, a “style” that’s curated and intentional. But especially in the beginning, your style will be based far less on mirroring others’ habits and behaviors and far more on instinct and intuition. And that’s not necessarily a bad thing. 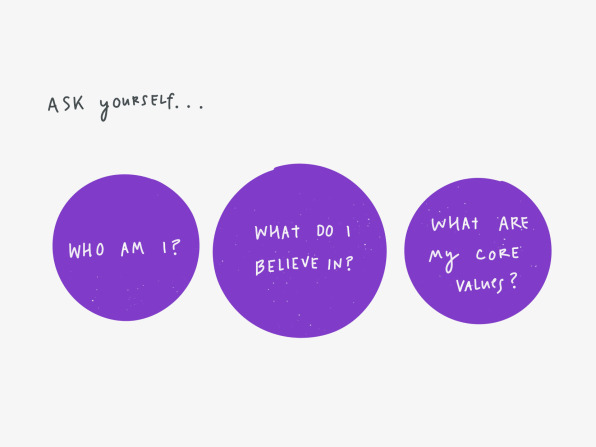 A better starting point for developing an effective, authentic leadership style is simply to ask yourself, “Who am I, and what do I believe in?” Lofty? Yes. But answering this question tells you a lot more about who you are as a leader than you might think. 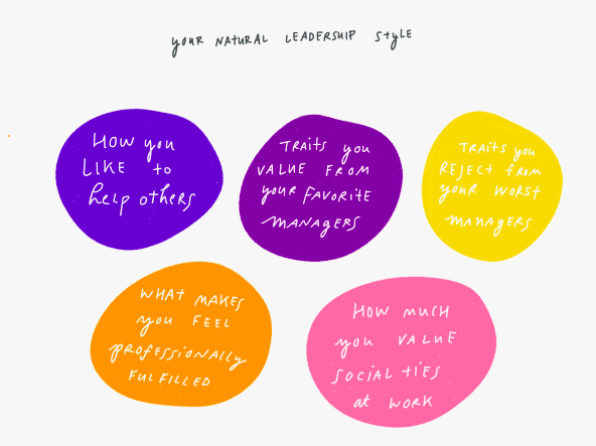 Leading well isn’t about acting a certain way; it’s about being true to your core values and embodying them in your work–just as you did as an individual contributor. Here are five better questions to help you identify a leadership style that lines up with who you already are. 1. HOW DO I LIKE TO HELP PEOPLE? Think of the last few times you’ve helped others on your team. When did you jump in and lend a hand? Why then, and what did you contribute? If your instinct is to let others learn on their own and rush to their aid only in times of crisis, it’s likely that will be your instinct as a leader, too. Are you always looking for ways to help others improve, giving advice and feedback freely? Then your ideal leadership style may be more about active coaching, rather than trial by fire. Neither one is necessarily “better” than the other; the right approach for you just depends on your personality. 2. WHAT WAS MY FAVORITE MANAGER LIKE? Think of the best managers you’ve had over the course of your career. Which traits of theirs did you most admire? If you loved having a hands-on manager, your instinct may lead you to be more hands-on, too. Valuing hands-on guidance means you’re more likely to offer hands-on guidance to others–and do it well. 3. WHAT WAS MY LEAST FAVORITE MANAGER LIKE? Now think of the worst managers you’ve had: What traits of theirs did you most detest? I once had a manager who couldn’t keep anything confidential among his team, which did nothing but stir the pot. You can bet I vowed to never backchannel complaints among teammates after that experience; instead, I encourage my team members to first address any complaints directly among one another and try to reach a resolution that way. The things that bothered you the most as somebody else’s direct report may be the same things you instinctively turn away from once you become a manager yourself. 4. WHAT MAKES ME FEEL FULFILLED? Think back to that last time you felt fulfilled professionally. What was the scenario that led to that? Perhaps it was the visibility you gained by working on a particular project, or maybe it was just about learning a new skill on the job. These are likely the opportunities you will seek out for your team, too, because recognition and learning are clearly important to you. 5. HOW IMPORTANT TO ME ARE SOCIAL RELATIONSHIPS AT WORK? Do you emphasize your social ties around the office? If as an individual contributor you really loved impromptu lunches and happy hours with your colleagues, guess what? You may become the type of leader whose management style is based on social trust and belonging. If, on the other hand, you’ve tended to value results above all else, you may naturally lead a more results-driven team. Again, neither approach is categorically better than the other; you just need to adopt the one that matches whatever your authentic preferences have been prior to becoming a leader. These five things combined are what make you the type of leader you. The truth is that your leadership style is already inside you. Your values as an individual team member simply come to life in a different way as a manager; the difference is just that you’re pushing others to fulfill those values, not just yourself. If you take an inventory of your work habits, values, and priorities and don’t like what you see, though, don’t worry. Change is possible, but takes time. Start small. Don’t try to reinvent yourself entirely. Build up your strengths and look for areas to supplement them. Adapt your approach depending on the situation or the direct report you’re trying to coach or help through a tight spot. But whatever you do, don’t try to be someone you’re not. That style doesn’t look good on anyone–especially not leaders.